Over the years, I've learned (and sometimes re-learned) valuable running lessons by making mistakes and knowing to do things differently the next time. For instance, I know that I’ll never again eat Fig Newtons right before a race. Several stops in the porta-potty guaranteed that I wouldn’t be making that mistake again. 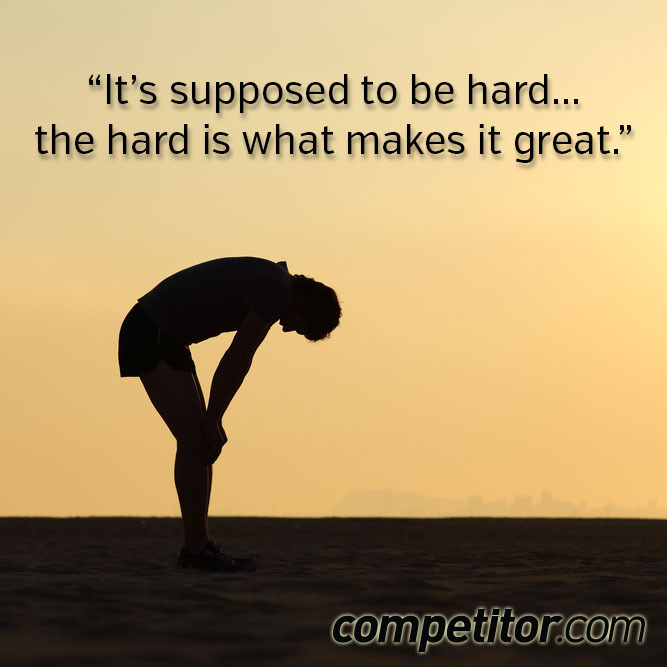 While most runners learn the below lessons through (sometimes painful) experience, I'm offering them up here so that you may avoid learning them the hard way. Here are some rules to keep in mind to avoid the potentially painful or embarrassing consequences. "I have fallen victim to over training many times by running too much and getting injured," writes runner Catherine on about running Facebook page. "I still have trouble with knowing when to take it down a notch before I injure myself again. The trouble is I just love running so much!" It can be easy to get enthusiastic about running and your progress and make a dangerous, gigantic leap in mileage. You start feeling confident and think, "Well, I did 5 kms, why not try for 10?!" As many runners have learned through trial and error, making big jumps in your weekly or your long run mileage can lead you straight to an overuse injury. Like my experience with Fig Newtons, most runners have made at least one pre-race food choice that turned out to be a big mistake. It may be something you ate the night before a big race or a pre-race breakfast time that leads to some unexpected pit-stops. I've learned by now to make sure I abide by the "nothing new on race day" rule. I tend to stick with pretty bland foods – bananas and plain bagels – because I know my stomach can handle that. If you've ever suffered from foot or joint pain on both sides, there's a chance that your worn-out shoes may be to blame. Some runners figure that out and then never again wait too long to replace their running shoes. Most runners need to replace their shoes every 600-700km. When you’re dealing with an injury, patience is key. Many runners get anxious to come back and start running again sooner than they should. Listen to your doctor or physical therapist's advice and don't get too aggressive. You could end up setting yourself back to where you were before you started your rehab efforts. When I first started running marathons, I didn't know that I needed a little extra room in the toe-box of my running shoes, since our feet swell when running (especially in the summer). A couple of black toenails later, I went up a half-size in my running shoes and I haven’t had a problem since then. Most runners need to go up at least a half-size for their running shoes. Go to a specialty running store to get your foot measured and gait analyzed so you can find the right shoes for you. And don't assume your feet are not getting any bigger! Weight gain, pregnancies, falling arches, and other issues can all lead to a larger shoe size. I ran the Boston Marathon in 2003, which was an unusually hot day for mid-April. There wasn’t a cloud in the sky and, back then, the race started at noon, so the sun was already high in the sky. After a long, cold winter of training in running pants and long sleeves, I completely forgot about sunscreen. The result was one of the worst sunburns of my life. My face was spared because I had on a hat and sunglasses, but my shoulders, back of my neck, and backs of my calves were bright pink a couple hours after the race. So, yes, you can get a sunburn in early Spring and even a little exposure can lead to a bad burn. When running outside, use a sunscreen of at least SPF 15 on all exposed skin, no matter what time of year it is. Yes, there is such a thing as being under prepared for a race. Veteran runners more often fall victim to this mistake, probably because we’ve done races before and don’t have the fear of not being finish fueling our desire to train. I find that if I don’t follow a specific training schedule, I’m more likely to get behind and suddenly realize I only have a few weeks to go before race day. Training with a group is also a good way to maintain your motivation and make sure you’re on track with your training.